Last year, the Israeli parliament, the Knesset, passed a reform to Israeli competition law. 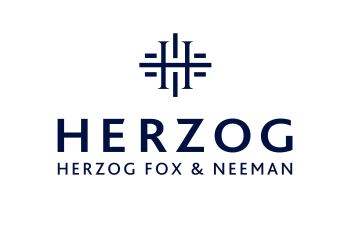 The newly legislated section 31f (a) of the Economic Competition Law, 1988 (formerly the Restrictive Trade Practices Law, 1988), enables the Israeli Antitrust Commissioner (the "Commissioner") to impose instructions on a Direct Importer. Such instructions do not imply a prior violation of the law. In addition, such instructions can only be imposed if the Commissioner finds that, as a result of the Direct Importer's status or behavior, there is concern of significant harm to parallel or private import, and, as a result, significant harm to competition in the relevant sector. Recently, The Israeli Competition Authority (“ICA”) announced that it started a first hearing procedure to apply section 31f, in the matter of Shestowitz, who is Colgate’s representative in Israel, and distributor of the Colgate toothpaste brand. According to the ICA’s press release, Shestowitz would report to Colgate about its products imported to Israel by parallel importers, in order to prevent or impede such parallel import. There is no additional dominant brand with a market share close to the Colgate brand; § Consumers show clear preference to the Colgate brand; § Consumers rarely switch between brands. Therefore, the Commissioner is contemplating instructing Shestowitz to cease all such reports. The Commissioner’s suggested instructions are available for public comment until February 28th. The application of section 31 seems to be in line with the ICA’s concept of market power, as recently delineated in the ICA’s Draft Opinion on the Examination of Significant Market Power. Significant market shares which are stable over time, lack of competing brands with similar market shares, consumers’ preferences and switching tendencies all appear in this draft as indicators of market power, as well as supply-side considerations such as competitors’ capacity, entry barriers, expansion barriers and other market characteristics. We estimate that the ICA, at least in under current management, will apply section 31f to impose instructions when the relevant direct importer possesses at least some measure of market power, as indicated by this Draft Opinion. As noted in our previous update regarding the reform in the Economic Competition Law, 1988, the concept of market power has also been incorporated into the definition of “monopoly”, and thus into the abuse of position sections of the Economic Competition Law, and the power to impose instructions on an entity which has a monopoly. It remains to be seen whether the ICA will implement section 31f and the monopoly sections in a similar manner, or whether section 31f and the monopoly sections of the Economic Competition Law will each go their separate ways.